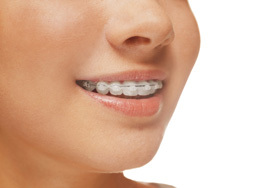 When most people hear the word ‘’braces,” they imagine the traditional metal train tracks that were painful, unsightly and took years to align your smile. At Choice One Dental Care of Lake Oconee, we offer two advanced solutions to help you straighten your teeth into the desired position. These invisible aligners are hardly noticeable. They’re removable at your convenience and are manufactured in the USA. Flexible aligners allow for great comfort while you align your teeth. Suitable for minor orthodontic issues, they gently move your teeth into the desired placement. If you’re interested in orthodontics, we can start by verifying your insurance to see if you have coverage. Then, we’ll give you a full evaluation to see which of our solutions would be the best fit for your goals. If both work, the choice is up to you. We can take impressions on the same day to get started, or you can schedule a return appointment — the decision is yours. Contact us today to find out more about our orthodontic options! We offer flexible payment plans to keep excellent dental care accessible to all.